Rebecca Allen & Laura Monks. Decca Records. LONDON (CelebrityAccess) – Universal Music Group announced this week that Laura Monks has been promoted to the role of general manager of Decca Records. Monks started at Decca as senior digital campaign manager, moving to head of digital in 2013, director of digital & commercial partnerships in 2015 and director of marketing & commercial partnerships in 2016. Over the course of her six years with the label, she has worked on successful campaigns for Ball & Boe, Gregory Porter, The Lumineers, Aurora, Andrea Bocelli and The Shires. 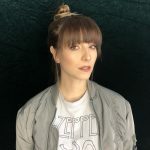 UMG has also announced that Sophie Hilton, currently head of marketing, has been promoted to director of marketing and visual creative, Decca UK. She will report directly to Monks.